Have questions about the technology in your car? BMW of Wilmington has BMW Geniuses on staff to help! BMW Geniuses on staff to help! The First-Ever BMW X2 is unmistakable, unrestrained, and unprecedented. A Sports Activity Coupe®with the latest tech and the boldest style, it’s ride of choice for those brave enough to take the road less traveled. 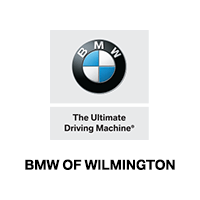 BMW of Wilmington is your destination for high-quality, stylish, and powerful luxury cars. Whether you’re seeking the BMW X5, BMW X3, or BMW 5 series, our dealership has a vast inventory of new cars for sale in Wilmington. As a used car dealership, we also carry a selection of certified used BMW car and SAV® models. That makes owning a BMW more accessible than ever. At BMW of Wilmington, our finance center is staffed with dedicated team members who are determined to get you the best loan or lease rate. We offer a number of online tools to help you get the financing process started from home. You can always return to our service center, where our BMW service specialists have the training and tools to perform basic maintenance and more in-depth repairs. We also offer a variety of service coupons to save you some money on your next visit. Contact us to schedule a test drive or if you need directions to our dealership.